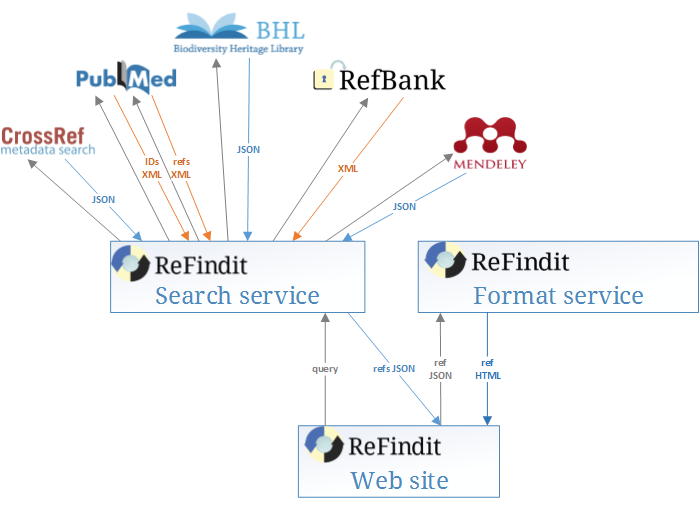 ReFindit provides an advanced and easy search function across various bibliographic and data reference databases: CrossRef, DataCite, Agris, PubMed, Mendeley, RefBank, and GNUB. The search results are assembled and sorted out for the user to read or download with the option to refine the search parameters. The searched references may be used for different purposes, e.g. conversion in some 600 journal citation styles or download in widely accepted bibliographic metadata standards. The tool is available as a standalone application at www.refindit.org, and is also be integrated as a search and download interface in the ARPHA Writing Tool (AWT) (https://arpha.pensoft.net). ReFindit has been developed by Pensoft with the support of ViBRANT project, funded by the Seventh Framework Programme of the European Union.